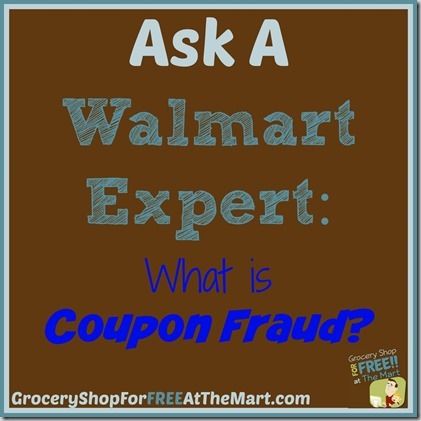 Coupon fraud is one of those hot-button topics in the couponing world that very few people really understand. 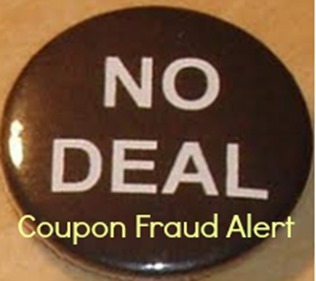 I cannot tell you how many times in my blogging life I have seen a new couponer say they used a coupon in a way that was maybe not exactly right and then watched as veteran couponers started shouting “That’s Coupon Fraud!” and telling them will soon be headed to jail. Nothing like the threat of jail time to discourage new couponers! Fortunately, we have a very nice definition of coupon fraud provided for us by the nice folks at the CIC. Sounds serious! The CIC gives us 3 areas coupon fraud can occur. Let’s take them in reverse order since it’s really the first one that applies to most couponers so we will save that one for last. Most of us don’t counterfeit coupons but does happen. In fact you can read about a Louisiana man Charged with Selling Millions of counterfeit coupons or the $40 Million Counterfeit Coupon ring that was broken up a few years ago. This also includes photocopying coupons. Suffice it to say, if you are involved in trafficking counterfeit coupons, you will be found and you will face charges. This is far less common but you can read about a time Walgreen’s was Accused of Improper Coupon Redemption here. I’m sure there are smaller chains that try to redeem coupons that weren’t properly used but I’m also sure it is fairly rare. Now let’s look at what we are usually talking about when we say Coupon Fraud. If you ever hear someone say Coupon Fraud, this is typically what they mean. Someone has used a coupon in a way that is not consistent with the written restrictions on the coupon. A Softsoap coupon that is only to be use on 8oz bottles or larger being used on a 7.5oz bottle. A coupon for a specific type of Gold Bond Lotion used an a different, trial size sample of Gold Bond Lotion with the overage given back in cash. You may on occasion get your hands on a fraudulent or counterfeit coupon. 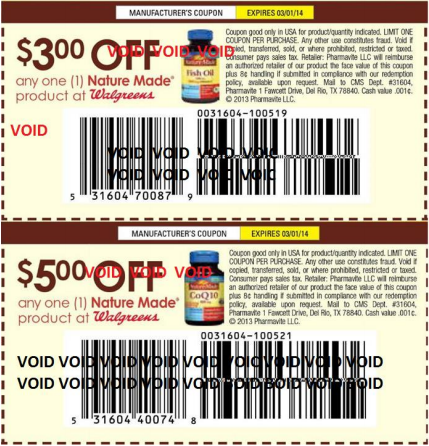 Here are a few things you can look at to tell if it is an invalid coupon. Look for long expiration dates – Most counterfeit coupons will have expiration dates over a year into the future. Look for fuzzy barcodes – Most retailers will no longer accept coupons that will not scan so if your barcode is unclear, you probably won’t be able to use it anyway. You can also find a list of current counterfeit coupons here. It should also be noted that if you got a bad coupon, chances are you bought it off the internet. Avoid doing that by just buying your local paper and getting the coupons from there or printing valid coupons yourself on your home printer. 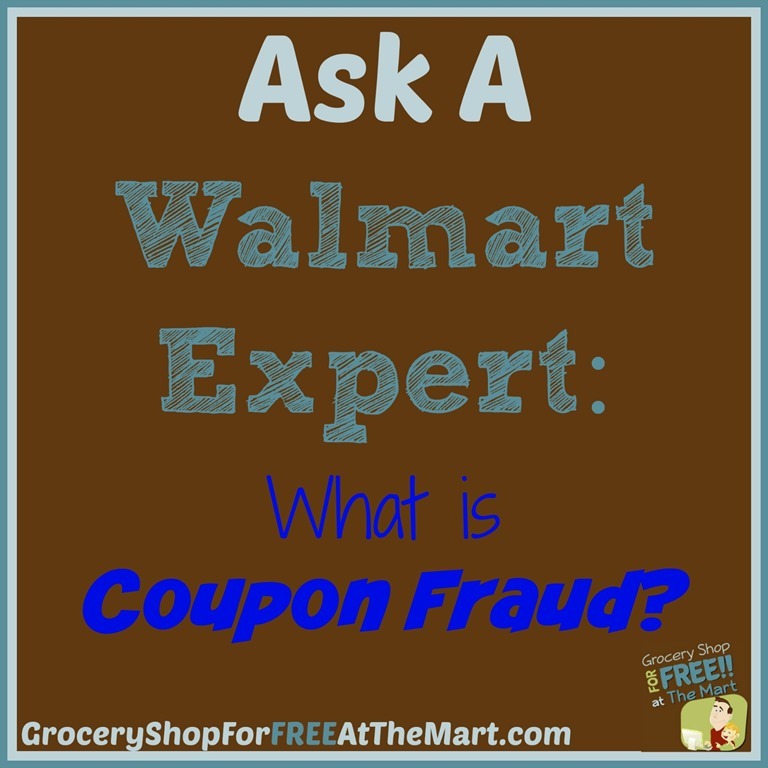 Are their Consequences to committing coupon fraud? So we need to be clear here. If you unintentionally misuse a coupon at your local Walmart, nothing is going to happen to you. Walmart will not ban you, (unless you do something else stupid in the store, like whip out your phone and start recording associates) the police will not hunt you down, you will not be going to jail. Don’t believe the crazy people on the internet, they probably aren’t lawyers. However, if you are committing large-scale fraud like the counterfeiters above, you will absolutely get into some real trouble. In fact just a few Google searches will bring up a treasure trove of criminals, here are just a few. And trust me, you could find more if you spend a few minutes looking. Over the years I have spoken to many couponers who don’t feel like using coupons incorrectly is any big deal. The crazy thing is they are probably good law-abiding people in every other aspect of their lives but for some reason, they just don’t see misusing coupons as something morally wrong or illegal. They would never dream of stealing from their neighbors but there is just something about the fact that they are taking from a big corporation like Walmart that justifies it in their minds. I don’t know how anyone could make that moral leap as intentionally misusing a coupon is absolutely coupon fraud.. There have been many changes to coupon policies in the last few years as a direct result from couponers misusing coupons and every one of those changes has made life more difficult for couponers, you can read about a few of those changes here. Coupon fraud is actually very easy to avoid. Just use your coupons correctly and pay attention to any restrictions. That’s it! It’s not brain surgery. Happy couponing! and associated website for Nature Made products sold at Walgreens stores. 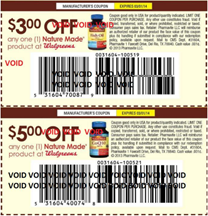 Pharmavite LLC is taking this action due to unauthorized coupon redemptions at other retailers; the unauthorized transfer of coupons; and the unauthorized reproduction of the coupons on certain websites. Since this is the third time in as many weeks that this has happened, his is the perfect opportunity to talk a little about coupon fraud. Lately, it appears what is happening are bloggers are taking high-dollar coupons that are only released for a SPECIFIC store in a SPECIFIC area, scanning them, converting them to pdf files and making the widely available for anyone to print. The problem here is this is clearly coupon fraud. In fact, 99.99999% of the time, if you print a pdf coupon, you are committing coupon fraud. Virtually no one releases coupons through pdf specifically because it is impossible to limit the number of prints and it’s very easy to change the coupon language to remove limits on amounts you can use or where you can use them. Another problem is every time an issue like this arises, steps are taken to make couponing more difficult. All you need to do is take a look at the ridiculous language on a P&G coupon to see the lengths these companies will go to to make life difficult for couponers. In short, if you see a blogger offering a pdf coupon to print, report them to the company that coupon is for and DON’T PRINT THE COUPON! Sometimes when we talk about coupon fraud, it isn’t taken very seriously because it is assumed that no one ever faces any consequences if they commit fraud. Let me assure you, that is not true. Be careful and protect yourself. Looks like there is another instance of Coupon Fraud that has come to light. BioLab, Inc. released a coupon for $5 off any Aqua Chem product and certain “deal bloggers” instructed their readers how to use it fraudulently. No retailer will be reimbursed for this coupon so no one should try to use it. There are 3 deals floating around out there right now that people are not doing right so I felt we should single them out for a little extra scrutiny. There is a coupon floating around (that I will not link to) for $10 off a Bayer Glucose Meter. Use it at Walmart and it becomes FREE with a little overage. Here’s the problem. That coupon only appeared in an ad flyer for Cloney’s Pharmacy and they are the only ones that will be reimbursed for that coupon. Some “helpful” blogger (who I will also not link to) turned it into a PDF and people have been printing it like crazy. This is about a clear cut case of coupon fraud as it gets. Don’t do it. However, there was an offer that was running concurrently with this one where you could get a FREE Bayer Glucose Meter with a doctor’s note. That offer has been discontinued but if you happened to print it, it IS valid and can be used at any store that accepts it. This one is tricky. A few weeks ago there was an insert (RP 1/5) with a couple Gold Bond coupons in it. One was for any Gold Bond Lotion with a size restriction (No trial or travel size) and another was for any Gold Bond Hand and Foot Lotion with no size restriction. The reason there was no size restriction on this Q is because they only sell Gold Bond Hand and Foot Cream in the bigger bottles. Walmart sells Ultimate Lotion for $.97 but not the Hand and Foot variety so this is not the Q for that product. However, having said all that, I can 100% confirm that the register will not beep when you use that Q but you still shouldn’t. This is actually a good deal but people aren’t doing it right. 2 weeks ago in SS 1/5 there was a coupon for a FREE Tena product up to $5. The problem is that people are getting the overage up to $5 and all you should be able to get is is the FREE product. Granted, this is the fault of the Walmart cashier for not understanding the Q but do we really want to train them to think they have to read every coupon? No. No you don’t. That will ruin your couponing life. Be honest when you use this Q and tell the cashier not to give you the overage. There will be other deals you can get overage on honestly, this just isn’t one of them. 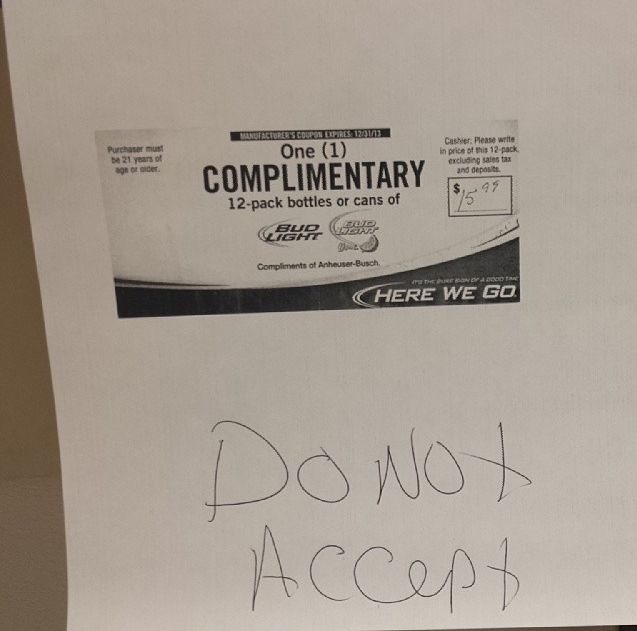 Coupon Fraud Alert: FREE Beer! I’m sure this goes without saying but this is not a valid coupon. My favorite part is that this coupon was clearly accepted by a cashier.